The Bramley’s Seedling apple is a triploid, raised around 1809 – 1813 by Mary Ann Brailsford in Southwell, Nottinghamshire, England. It was introduced by Nurseyman H. Merryweather in 1865 and first exhibited in 1876, receiving a First Class certificate from the Royal Horticultural Society in 1893. By far the most popular culinary apple in the UK and the variety most often found on supermarket shelves. The fruit is a green/yellow with a strong acid flavour. A vigorous grower. Natural Storage: October to March. 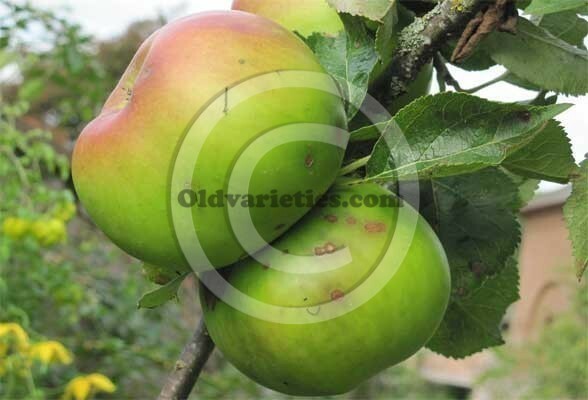 The Bramley’s seedling apple can be found growing in the orchards of Acorn Bank House, Temple Sowerby, Cumbria.